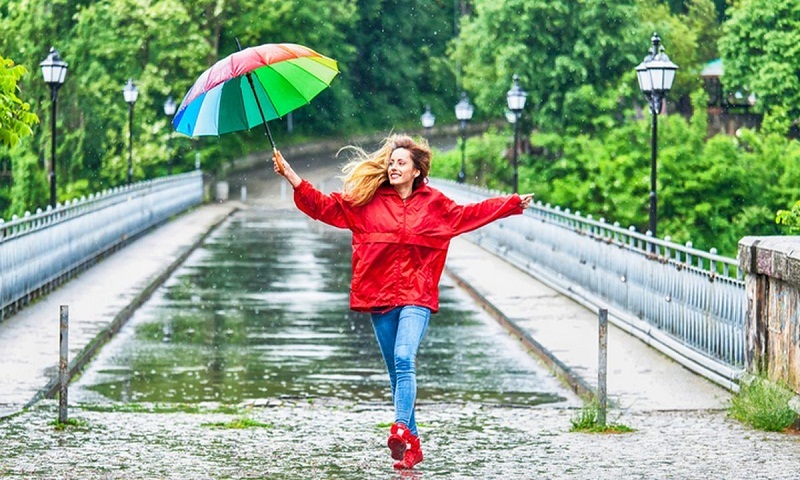 Don’t let rainy days get you down! From less is more to saying no to oily skin, experts give a plethora of tips and tricks to maintain your beauty despite the downpours. * Say no to oily skin: Excess oil and shine is a common humidity-induced concern. To combat it, turn to specific cosmetics, regularly exfoliate your face, apply a rebalancing mask. In the morning, apply a mattifying moisturizer before your make-up. * Less is more: When the overall air moisture is high, opt for an easy, light and natural look and avoid heavy moisturizer and foundation. Instead, apply a tinted moisturizer like a Complexion Clear SPF Cream with a matte finish; in addition to brightening dull complexion, it adds hydration in abundance. It is a good alternative to powder foundation that tends to streak with humidity. Similarly, prefer cream shadows and blushes. * Set your makeup: If you really can’t go a day without mascara, go for a waterproof version. To finish up, spray a water-based mist on your face to fix make-up for the day and boost its glow. Choose it according to your skin concern. * Bring the essentials with you: To look flawless, once you’ve made it through the rain, keep a few essentials on hand for touch-ups during the day. The most important go-to product should be the SPF as during Monsoons UVA & UVB rays affect the maximum. Your compact, shadow and lipstick won’t overload your purse but will be very useful when you need to be meeting-ready! In case the sun already got to you, treating your skin to a detanning service would be a perfect solution. * Close your hair’s scales: To avoid fuzzy texture, use a dry oil that will moisturize the length and also will help to tame the hair. As for your hairstyle, the simplest way is to pull your hair back in a bun or a ponytail. If you want to wear it down, wrap it quickly in a loose bun and take it down once inside.